Last seen for $1,395.00 at Stanley Korshak. See more Ashley Pittman Necklaces. 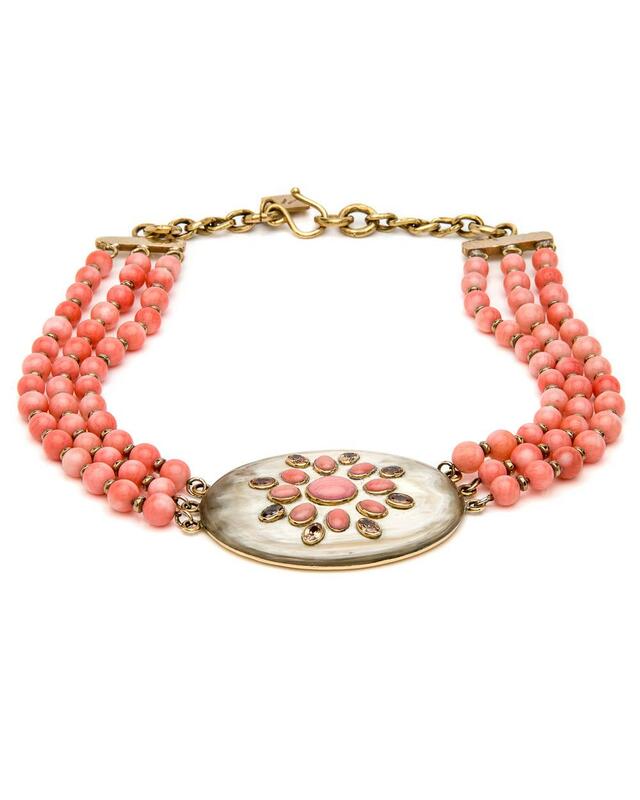 Ashley Pittman Bendi Coral Necklace. 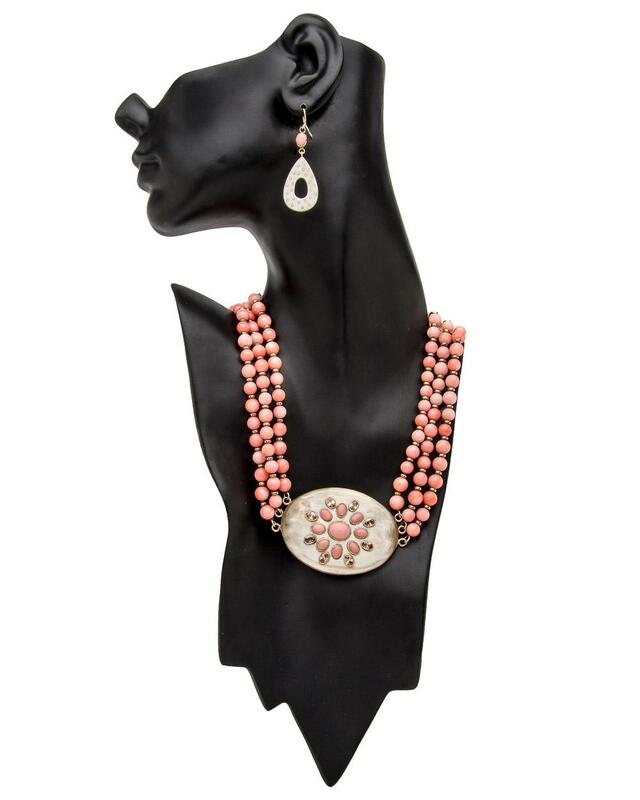 Light horn pendant and coral bead necklace. 3 coral strand bead necklace. Bronze bezel set coral and pyrite. 0.25" coral beads. 2.5" x 2" pendant. 18" long. Hook closure. Horn color and pattern may vary. 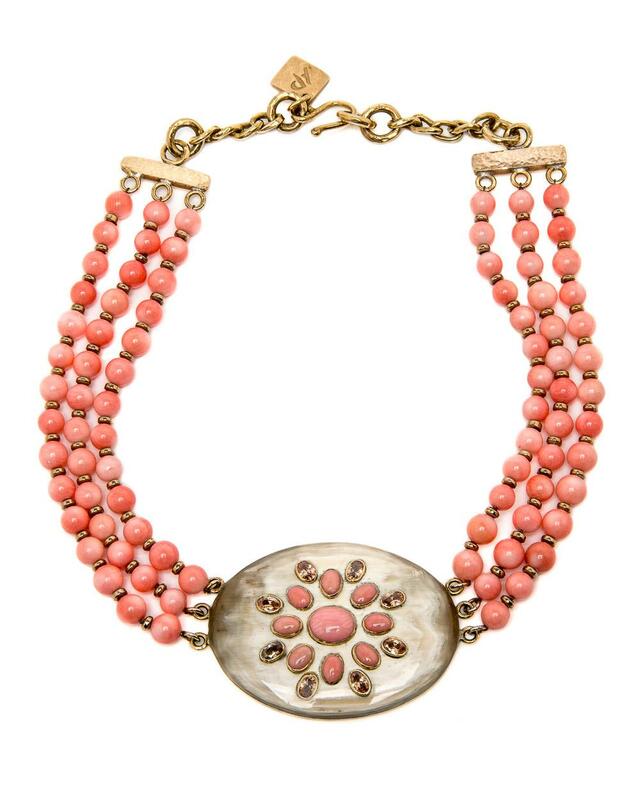 Ashley Pittman donates 10% of all profits to help fund a rural health center and primary school in Kenya.